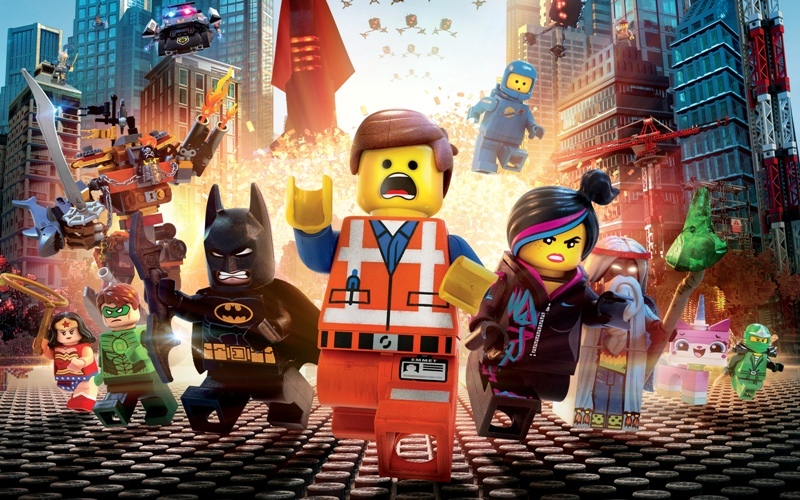 Admit it: who thought that a movie about Lego would be any good? We certainly didn’t. But then along came The Lego Movie and it was probably the most enjoyable 100 minutes we had at the cinema last year. If you haven’t seen it yet, pick it up on DVD – it comes out today. Despite spawning one of the biggest comedy franchises of the past 10 years, The Hangover was a surprise hit when it came out in 2008. No-one expected much from what looked like a pretty average gross-out comedy starring 3 relatively unknown actors. But the chemistry of Bradley Cooper, Ed Helms and Zach Galinfinakis and some of the funniest scenes this side of American Pie made The Hangover one of the highest-grossing comedies of all time. In fact, it was so good that the studio bigwigs decided to make the exact same film again for the sequel (but in Bangkok instead of Las Vegas). Unfortunately, that one wasn’t so great. It’s no surprise so many people sell their Hangover DVDs to us! When you think of Liam Neeson, you probably imagine a gruff tough guy capable of breaking someone’s neck just by winking at them. That is entirely down to Taken, a relatively small French movie which transformed a 56 year-old Neeson into Hollywood’s leading action hero. The film itself is pretty standard, but Neeson’s performance takes it to a whole new level. His ‘I will find you and I will kill you’ speech (which we’ve posted above) alone makes Taken a modern action classic. The Lonely Island are best known for producing funny rap songs about owning boats and being a boss (pronounced bow-ss), yet it turns out they’re also pretty good at making films too. Hot Rod is the tale of a young man who dreams of nothing but becoming a famous stuntman and beating his step-dad (played by Ian McShane) in a fight. Unfortunately, his step-dad is ill, so Rod organises his most dangerous stunt yet to pay for his treatment (so he can beat him up once he’s better). It’s one of the silliest films we’ve ever seen to be honest, but that’s exactly why we love it. After Tim Burton’s rubbish remake of the original Planet of the Apes, most people thought the franchise was dead for good. So it was a surprise when Rise of the Planet of the Apes – a prequel, no less – turned out to be one of the best movies in the series. Rise… is a rare example of an intelligent blockbuster, focusing on the ethical dilemma that arises from experimenting on animals to cure our own illnesses. It isn’t all chin-stroking and pondering though, with some excellent action scenes keeping excitement levels high. The sequel to Rise…, Dawn of the Planet of the Apes, is in cinemas now and is receiving equal amounts of praise for its intelligent approach to what is (let’s face it) a ridiculous concept. It’s a rom-com for blokes starring Russell Brand, who at the time was best known for presenting Big Brother’s Big Mouth. So why is it so good? We still can’t really put our finger on it, but Jason Segel’s Hawaiian-based break-up comedy is very funny and surprisingly heartfelt too. Pixar dominated animation for years, taking the crown from their parent company, Disney (who probably weren’t that bothered seeing as they made loads of money from Pixar’s success). Still, Disney managed to reclaim the animation crown with the unlikely success of Frozen. As well as earning critical acclaim, Frozen is the highest-earning animated film of all time (beating the likes of Toy Story and Shrek). Never underestimate the power of animated snowmen, princesses and catchy songs. Have you ever expected a movie to be rubbish, only for it to end up being surprisingly brilliant? Let us know in the comments or on Facebook or Twitter!